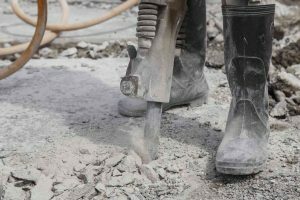 Why Should You Hire a Concrete Demolition Company? A skilled concrete demolition company will be safe and effective while getting the job done. When it is time to get out with the old (concrete) and in with the new (concrete), you might think that you can get the job done well on your own. However, hiring a concrete demolition company is more than worth the expense, and here are some reasons why! Concrete demolition is removing concrete structures, whether they are buildings or other types of structures. In order to make a new structure in the area (or in some cases to rebuild the previous structure that was damaged), concrete demolition has to take place. Concrete demolition can also be necessary to remove old or unsafe buildings from pieces of property. You might not know it, but the concrete left at the end of demolition can be recycled for an environmentally friendly demolition option. How Can Concrete Demolition Be Done? Manual Demolition: This is done on smaller structures and typically uses sledgehammers, picks, or robotic hammers. Mechanical Demolition: This type of concrete demolition is typically done on larger structures. We use everything from excavators, to cranes, to loaders, and to bulldozers to do this type of demolition. Induced Collapse: This uses force to initiate a controlled collapse of whatever the concrete structure is. This is done on isolated structures, as it is complicated and risky. Building Implosion: This is a complicated method of concrete demolition that involves high powered explosives like TNT and C4. Professional concrete demolition companies will know the proper safety precautions to use for each step of the process. Concrete demolition companies have experience doing demolition, along with the proper equipment and skills to use it. Demolition companies will be able to adapt to your project, no matter how large or small it is. This entry was posted on Friday, December 16th, 2016	at 11:21 pm	. Both comments and pings are currently closed.